Turns out the guys at the Golden Arches are seriously schwifty...and big fans of Szechuan 'Mulan' McNugget Sauce. 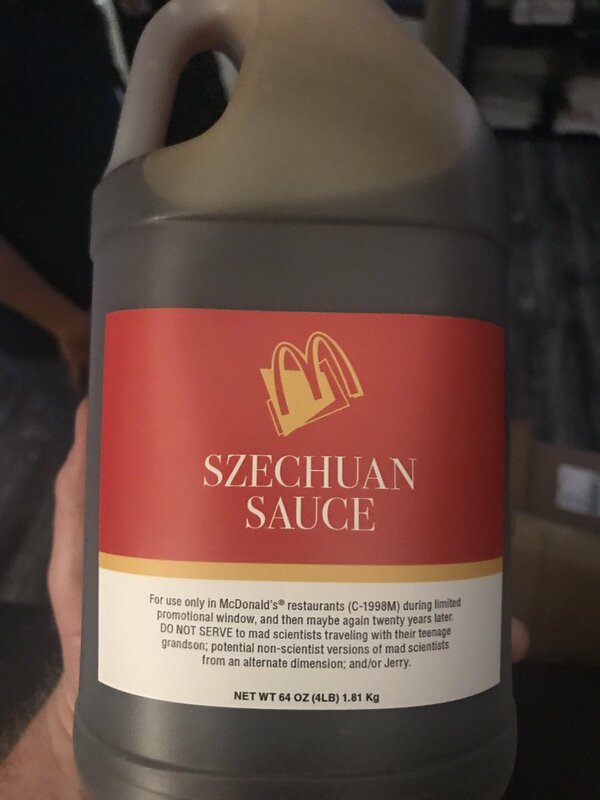 The search is over - Rick has finally got his Mulan McNugget sauce. Back in 1998, McDonald's released a limited edition Szechuan dipping sauce to promote the Disney movie Mulan. It was, apparently, very tasty but was understandably left to the confines of history as another long-forgotten promotional item at the golden arches. 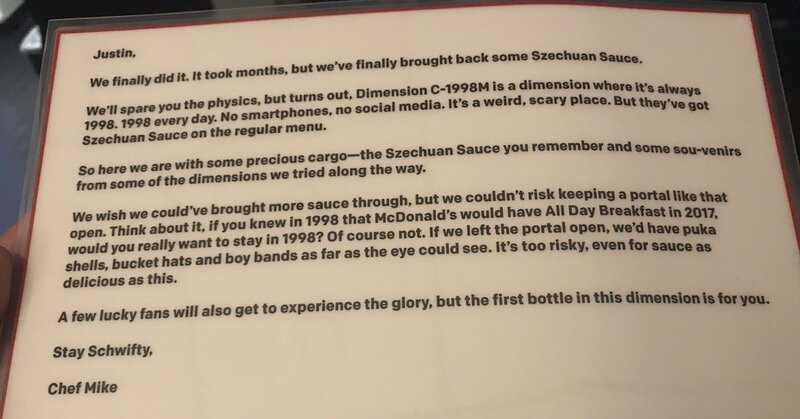 But, after the sauce got name dropped several times in the first episode of season 3 of Rick & Morty back in April, an online campaign began to bring back Szechuan to McDs. Don't use it all at once dude! 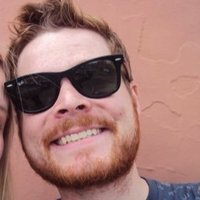 Rick & Morty season 3 is airing Sunday nights on adult:swim in the US and on Netflix in the UK.